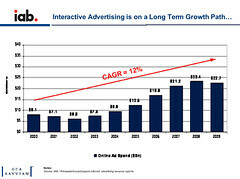 According to forecasters, digital advertising is poised to lead a rebound in the larger ad market. Revenue increases in the fourth quarter of 2009 are expected to continue. And according to the IAB, television advertisers shouldn’t be concerned that the growth in digital will come at their expense.